Famous rock'n roll group from New York. Well known for Andy Warhol's artwork and often cited as one of the most important and influential groups of their era. they deserve a movie like "Bohemian Rhapsody" by Queen or "Rocketman" by Elton John! Well, of course you're absolutely right. The Beatles were just a pub band that got lucky. Arguably the most important band of all time! 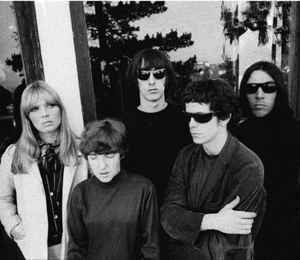 I once gave a lecture on how the Velvets were more important than the Beatles - the latter created the pop music phenomenon, but the Velvets changed the paradigm of music forever mixing classical ability (Cale) with lack of traditional music ability of Reed. This set the stage for all forms of non-traditional based music from punk to industrial to electronic music in general.